For decades, the Lamborghini brand has been making the seemingly impossible into the possible. They did it when they first transformed the Sant’Agata Bolognese into the temple of super sports cars, and they’ve been doing it ever since. On December 4th, you’ll be able to witness another instance of the legendary automotive brand making the impossible possible. What happens on December 4th? The world’s first-ever Super Sport Utility Vehicle will be unveiled in the form of the brand-new Lamborghini Urus. 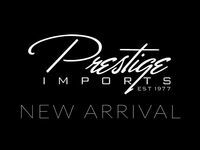 You can reserve a Lamborghini Urus of your own by getting in touch with us here at Prestige Imports. Fill out the form on this page, stop into the showroom or give us a call at the sales desk and we’ll get you the details you need to make an Urus your own.